There are many ways that you can volunteer and support the work that we do. Whether you donate to us, help with fundraising, or travel with us on Easter or Summer pilgrimages you make a real difference to the disabled and disadvantaged people. Please find your nearest group, or contact us, to find out more about volunteering on HCPT pilgrimage holidays. Read the varied stories of new and experienced helpers, and the people they've shared their time in Lourdes with. HCPT's Easter pilgrimage holidays to Lourdes in the south of France have been running for nearly 60 years. Experienced volunteer helpers are on hand to give disabled and disadvantaged children and young people, aged 8 to 18, the holiday of a lifetime. Our helpers can help children with a wide range of disabilities and disadvantages. Your child would be travelling with a local HCPT group - find your nearest one. They would be travelling to Lourdes with the group by chartered plane, staying in a hotel in central Lourdes. Visit here for details of the sort of activities we organise for children in Lourdes. HCPT is committed to safeguarding and promoting the welfare of children, young people and vulnerable adults. Read about our safeguarding policies and practice. 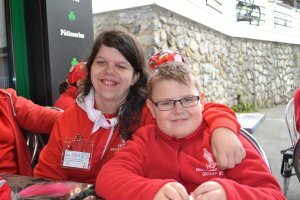 HCPT's Summer pilgrimage holidays to Hosanna House, near Lourdes in the south of France, have been running since the 1970s. Experienced volunteer helpers are on hand to give disabled and disadvantaged people of all ages, from the very young to the very old, the holiday of a lifetime. 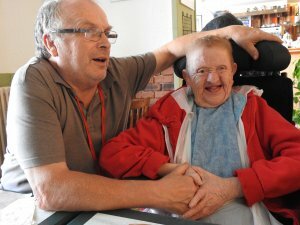 Our helpers can assist people with a wide range of disabilities and disadvantages. You'd be travelling to Lourdes by plane, staying for a week in HCPT's Hosanna House in Bartres near Lourdes. 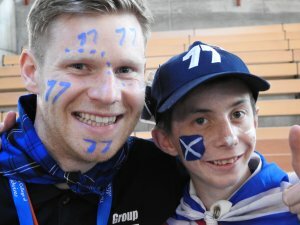 You'd be travelling with an HCPT Summer group. Find your local HCPT Summer group.